Promoting your event in your community without a large budget can feel like an overwhelming task. While there are plenty of things that you can do with unlimited budgets such as billboards, printed mailings or even postcards, the larger items can be costly and mailings take a bit longer than you may have to publicize your upcoming event. As a community events coordinator for the local YMCA, Danny L. knew that he needed suggestions for his frequent activities that would bring in additional funds for local groups without breaking the bank. From fundraisers for local families experiencing medical challenges to Daddy/Daughter dances at the "Y", there is no end to the number of events in the community on a monthly basis. The YMCA has a long history of supporting the community by offering reduced-cost monthly fees and other support mechanisms. However, they are not able to financially support the needs of these worthy groups for promotion in any meaningful way. Instead, any promotional dollars would need to come from the group -- and they are generally running on an incredibly tight budget that makes advertising difficult. The tremendous good that is done on a daily and weekly basis through community walks or 5k runs, pancake breakfasts and other fundraisers is significant, but without publicity, the scope of these events is very limited. Danny realized while looking at a yard sale sign on a busy corner one day that there was a better way to get out the word on upcoming events -- banners! He tested his theory and had an inexpensive banner printed for an upcoming event. He then asked people who attended the event how they learned about it. Surprisingly, quite a few mentioned that the banner prompted them to drop in for a few moments and make a donation! 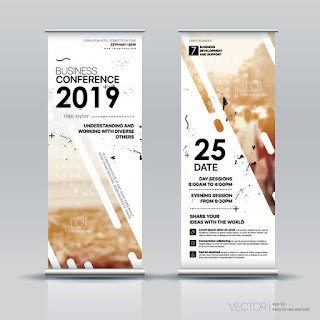 Ever since that time, Danny has been using large printed banners placed in strategic locations throughout the city to drive traffic and interest in upcoming events. He found that placing them approximately two weeks before the event worked best, as people were able to plan ahead to visit, and then also were reminded to come closer to the event. Creating the banner was very straightforward, and involved Danny sketching out the times and dates as well as a quick call to action that described the event. He found that there was only a little information that could be placed on the banner without it becoming overwhelming for people to read. Let us help you create a banner for your upcoming event today! It's an awesome creation. But, If you want a banner for your event to host or something promotion then it has to the ideal size. Because people observe everything about your business. You have to provide the best Banner Printing product so that the client can be happy to see your hard work. A good banner maker signage can give people a lot of information. Because we are now depended on signs because we trust signs. Signs give us direction and we follow it. And also we can save from danger. Wonderful creation of banners, Which you have shared here. These banners are looking very beautiful and I appreciate your work which you have done for creating these designs. Bayside Signs and Display is the best online shop where you can buy vehicle graphics, signage, exhibition stands and PVC banners at an affordable price.